•Macro-Econophysics, Cambridge University Press, 2017 (with Hideaki Aoyama, Yoshi Fujiwara, Yuichi Ikeda, Hiroshi Iyetomi, and Wataru Souma). •Japan's Lost Decade, Revised and Expanded Edition, I-House Press, 2008. •Reconstructing Macroeconomics: A Perspective from Statistical Physics and Combinatorial Stochastic Processes, Cambridge University Press, 2007 (with Masanao Aoki). •Comparing Economic Systems Italy and Japan, London: Palgrave, (ed．with Andrea Boltho and Alessandro Vercelli), 2001. •"Micro-foundations for macroeconomics: New set-up based on statistical physics," The European Physical Journal Special Topics 225, 2016, pp3337-3344, (DOI) 10.1140/epjst/e2016-60163-8. 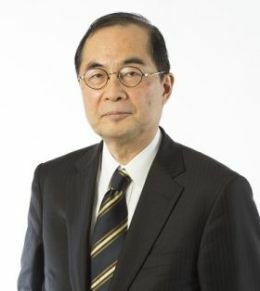 •"Deflation/Inflation Dynamics: Analysis based on Macro Prices," CIRJE Discussion Papers CIRJE-F-959, February 2015 (with Hideaki Aoyama, Yoshi Fujiwara, Hiroshi Iyetomi). •"Stochastic macro-equilibrium: a microfoundation for the Keynesian economics," Journal of Economic Interaction and Coordination, Vol.10, 1, 2015, pp31-55, (DOI) 10.1007/s11403-014-0142-4. •"Equilibrium distribution of labor productivity: a theoretical model," Journal of Economic Interaction and Coordination, November 2013, (DOI) 10.1007/s11403-013-0118-9 (with Hideaki Aoyama and Hiroshi Iyetomi). •"Non-Self-Averaging in Macroeconomic Models: A Criticism of Modern Micro-founded Macroeconomics," Journal of Economic Interaction and Coordination, Vol.7, 1, 2012, pp1-22 (with Masanao Aoki). Copyright © Rissho University. All Rights Reserved.